Click on images for a really big view…. For the Train Show in Detroit last month I mounted some of the Bronx Terminal trackwork to a laser engraved plywood sheet. I did this to keep it from getting damaged, its pretty fragile. I expected it may be handled and this would protect it and also provide a bit of a display. 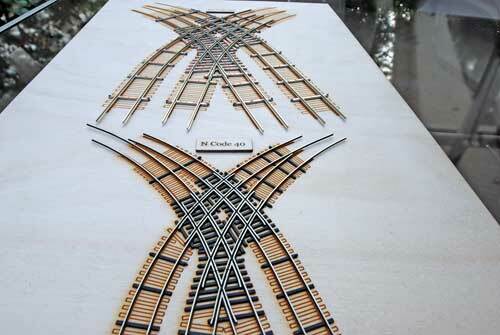 All the ties are etched into the board, this helps to make the trackwork look a bit more complete. 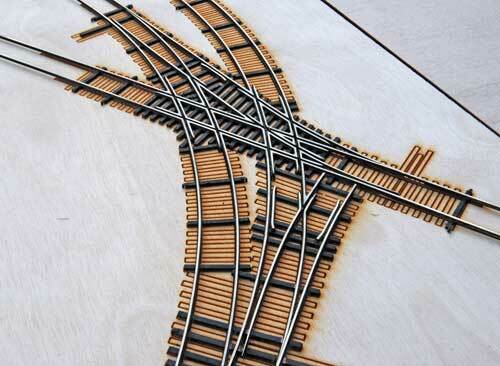 I also painted the trackwork with a simple black paint to add a bit of contrast. 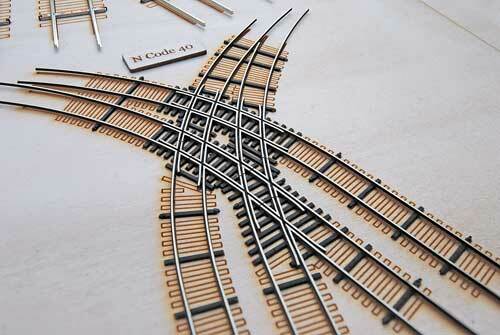 This is the N scale code 40 version of the triple lapped turnout. I also made one with both the N scale and HO scale quad diamond mounted onto plywood with the ties engraved. N scale code 40 at the front of the image, HO scale code 70 near the top. I cut some frog isolation gaps in the N scale crossing shown above just to make sure it could actually be done.� This was done using a jewelers saw while holding the trackwork in a vise. 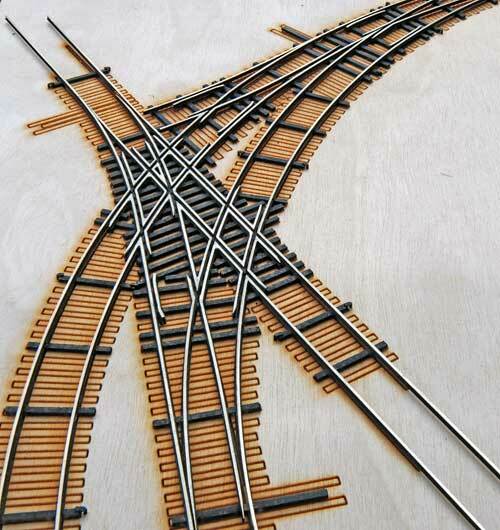 The technique works well, but after a few gaps the trackwork was starting to get a bit weak so I decided to hold off until I am ready to install in place.� I may actually mount the trackwork onto a thin plywood roadbed after the wood ties have been attached and cut through the rail and the roadbed at the same time, this will provide extra support for this delicate operation. I know, I know, its the same stuff that has been on the site for the last few months and I apologize for that. This summer my time has been quite stretched and hasn’t allowed for any down time. With the building almost complete, we should be moving into it shortly and that should free up some much needed space and time for me to get back to another section of the terminal! 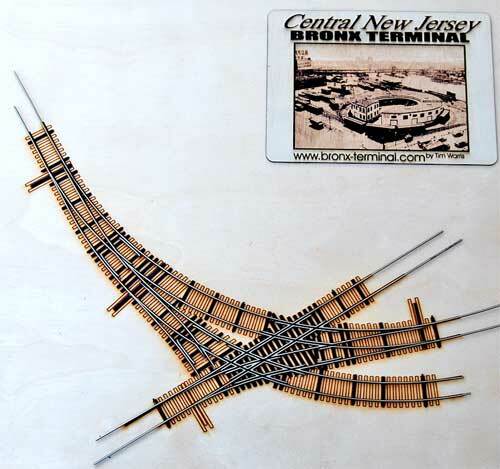 Are you going to make the fixtures that you have developed for the Bronx Terminal available as part of the FastTracks product line?